You are a bounty hunter sent to Na Pali by Inuit corporation to find the crashed ship, Vortex Rikers and termine surviving prisoners and recapture three rogue AIs that were on board and then get to gravity lift taking you to planet moon where you will call for dropship to pick you up. 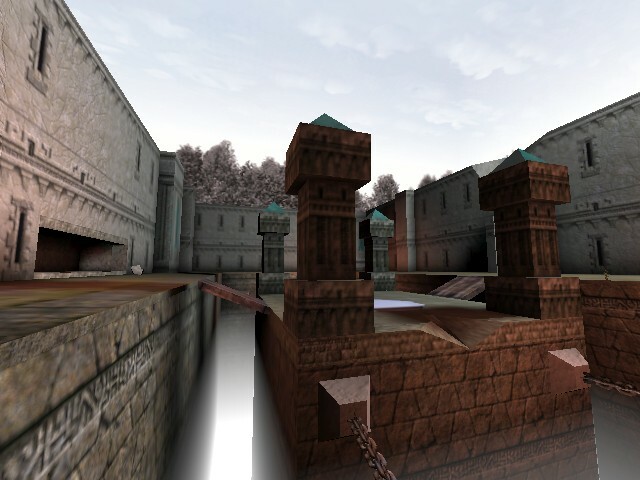 This is a rework of a cancelled Playstation port of Unreal by Pterodactyl Software Ltd, which had all exclusive content. About 75 percent of content was recovered. This project wants to achieve finishing up of the content, retexturing the maps, making them 100 percent coop playable, fixing scripts, finishing them up and filling up holes of not salvaged content. E1L7D: - Fixed rising pillar before the gasbag boss having no collision. - Fixed stairs in the pyramid room not rotating. - Now the Chameleon Heart will be automatically removed at the end of the map. - Fixed bridge above water having weird collision. - Fixed missing texture in the titan pit. - Fixed spelling. There's also a bit of extra content.